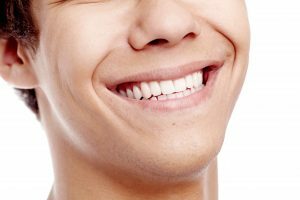 How Can I Fix a Gummy Smile in Jacksonville? Have Missing or Broken Teeth? Are You Missing One Tooth? Are You Missing Multiple Teeth? Are You Missing All Your Teeth? Do You Have Unhealthy Gums? Do You Get Nervous at the Dentist? On your quest for a beautiful smile, you may not think about your gums as much as you do your teeth. However, just like every masterpiece needs a great frame to set it off, your stunning grin demands healthy pink gums. If you have what’s known as a “gummy smile” in Jacksonville, you should know there is a pretty easy way to fix it. Keep reading to learn about how gum recontouring can help! What Is a Gummy Smile? A gummy smile is what you call it when there is too much gum tissue covering up your healthy white tooth enamel. This often occurs naturally, or it may be the result of wear and tear which happens due to teeth grinding and jaw clenching. When this is the case, the healthy tooth enamel wears away and the short teeth create the look of a gummy smile. How Can Gum Recontouring Help? Whatever caused the appearance of a gummy smile, a cosmetic dentist can help with a gum recontouring procedure. This is a treatment in which the excess gum tissue is removed with extreme efficiency and precision. From behind it, the healthy white tooth enamel is exposed. Gum recontouring can be performed across all the teeth or just in specific areas — depending on your specific needs. Your dentist will take care to ensure that a natural appearance is maintained. What Should I Expect from Gum Recontouring? If gum recontouring in Jacksonville is recommended from your smile, you can usually expect it to be completed in a single appointment. Your cosmetic dentist will use advanced tools and techniques to minimize bleeding and discomfort. First, anesthesia and/or sedation are administered to help you fully relax throughout the treatment. Once you are comfortable, your dentist will begin carefully removing the excess tissue. This technique can be performed using a laser, which eliminates the need for sutures and stitches. A soft tissue laser sanitizes as it works, which means healing begins as soon as the tissue is removed. After the procedure is complete, your dentist will send you away with special post-operative instructions. A soft tissue laser procedure heals much more quickly compared to a traditional gum surgery — and you won’t have to deal with visible stitches right after. In fact, you can enjoy the cosmetic benefits of a gum recontouring procedure immediately. Maintain a soft foods diet right at first and take care when brushing and flossing your teeth. If symptoms like minor swelling or discomfort worsen or do not improve after several days, get in touch with your dentist right away. There you have it — proof that hope is available for a gummy smile! If you are dealing with this cosmetic issue, don’t hesitate to get in touch with your cosmetic dentist in Jacksonville for help. The Jacksonville Dental Specialists offer expert care in general, restorative, and cosmetic dentistry — including treatment for a gummy smile! To learn more about whether gum recontouring may be the answer for your grin, do not hesitate to get in touch by calling (904) 683-4781. Comments Off on How Can I Fix a Gummy Smile in Jacksonville?